Marcel L'Herbier (French: [lɛʁbje] ; 23 April 1888 – 26 November 1979) was a French filmmaker who achieved prominence as an avant-garde theorist and imaginative practitioner with a series of silent films in the 1920s. His career as a director continued until the 1950s and he made more than 40 feature films in total. During the 1950s and 1960s, he worked on cultural programmes for French television. He also fulfilled many administrative roles in the French film industry, and he was the founder and the first President of the French film school Institut des hautes études cinématographiques (IDHEC). L'Institut des hautes études cinématographiques is a French film school, founded during World War II under the leadership of Marcel L'Herbier who was its president from 1944 to 1969. IDHEC offered training for directors and producers, cameramen, sound technicians, editors, art directors and costume designers. It became highly influential, and many prominent film-makers received their training there including Paulo Rocha, Louis Malle, Alain Resnais, Claire Denis, Volker Schlöndorff, Jean-Jacques Annaud, Claude Sautet, Nelson Pereira dos Santos, Patrice Leconte, Costa Gavras, Theo Angelopoulos, Omar Amiralay, Rithy Panh, Arnaud Desplechin, Claude Miller, Alfonso Gumucio Dagron Christopher Miles and Pascale Ferran. The Society of Mary (Marists), commonly known as simply the Marist Fathers, is an international Roman Catholic religious congregation, founded by Father Jean-Claude Colin and a group of other seminarians in Lyon, France, in 1816. The society's name derives from the Blessed Virgin Mary, whom the members attempt to imitate in their spirituality and daily work. The Lycée Voltaire is a secondary school in Paris, France, established in 1890. Xavier Henry Napoleón Leroux was a French composer and a teacher at the Paris Conservatory. He was married to the famous soprano Meyrianne Héglon (1867-1942). Oscar Fingal O'Flahertie Wills Wilde was an Irish poet and playwright. After writing in different forms throughout the 1880s, he became one of London's most popular playwrights in the early 1890s. He is best remembered for his epigrams and plays, his novel The Picture of Dorian Gray, and the circumstances of his criminal conviction for homosexuality, imprisonment, and early death at age 46. The outbreak of war in 1914 changed L'Herbier's world. He withdrew from social life, and being unable to join the army immediately because of his injured hand, he went to work in a factory making military uniforms. He went on to serve with various auxiliary units of the armed forces and towards the end of the war in 1917-1918 he was by chance transferred to the Section Cinématographique de l'Armée, where he received his first technical training in film-making. His intellectual conversion to the medium of film had only recently occurred, firstly through a friendship with the actress Musidora (he recalled that she took him to Cecil B. DeMille's The Cheat (1915) which awakened him to the artistic possibilities of silent films)  and subsequently through encounters with the critics Louis Delluc and Émile Vuillermoz who were developing their own theories of the new art form. Jeanne Roques, better known by her stage name Musidora, was a French actress, film director and writer. She is best known for her acting in silent films, and rose to public attention for roles in the Louis Feuillade serials Les Vampires as Irma Vep and in Judex as Marie Verdier. Her vamp persona has been compared with that of Theda Bara. The Cheat is a 1915 American silent drama film directed by Cecil B. DeMille, starring Fannie Ward, Sessue Hayakawa, and Jack Dean (1874-1950), Ward's real-life husband. Léon Gaumont was a French inventor, engineer, and industrialist who was a pioneer of the motion picture industry. Marcelle Pradot was a French actress who worked principally in silent films. She was born at Montmorency, Val-d'Oise, near Paris. At the age of 18 while she was taking classes in dancing and singing in Paris, she was asked by Marcel L'Herbier to appear in his film Le Bercail (1919). She went on to appear in a further eight of L'Herbier's silent films, and then in his first sound film L'Enfant de l'amour (1930) with which she ended her acting career. She was noted as an aristocratic beauty, and she was described by the critic Louis Delluc as "the Infanta of French cinema". Between 1919 and 1922, L'Herbier made six films for Gaumont, several in their Série Pax, and three of these stood out as major achievements of his period in silent films. He adapted a story by Balzac for L'Homme du large (1920), set and filmed on the Brittany coast. More ambitious was El Dorado (1921), a grand and visually spectacular melodrama filmed on location in Andalusia; it was noted for its visual experiments with dissolves and blurred images ("flous" in French). Tensions between L'Herbier and Gaumont were resolved into the project Don Juan et Faust (1922), also filmed partly in Spain; but when the film went over-budget, L'Herbier was unable to complete it as planned, and the resulting work was appreciated more for its technical mastery than for its intellectual confrontation of two literary archetypes. After this, L'Herbier felt the need to seek his creative independence and he founded his own production company, Cinégraphic, which produced his next six films. 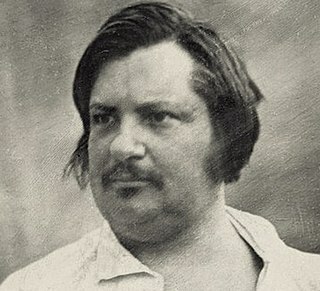 Honoré de Balzac was a French novelist and playwright. The novel sequence La Comédie humaine, which presents a panorama of post-Napoleonic French life, is generally viewed as his magnum opus. L' Homme du large is a 1920 French silent film directed by Marcel L'Herbier and based on a short story by Honoré de Balzac. It was filmed on the rugged southern coast of Brittany creating atmosphere in a film about the forces of good and evil that motivate human behaviour. El Dorado is a French silent film directed in 1921 by Marcel L'Herbier. The film was notable for integrating a number of technical innovations into its narrative of a "cinematic melodrama". It achieved considerable success on its release, as a ground-breaking film that was distinctively French at a time when the cinema was felt to be dominated by American productions. L'Herbier's first production with his own company was an adaptation of Resurrection (1923) from the Tolstoy novel, but filming met a series of setbacks and the project was abandoned when L'Herbier contracted typhoid and was critically ill for several weeks. Later in 1923, L'Herbier was persuaded by Georgette Leblanc-Maeterlinck to consider a project in which she would star, and which would also attract some American finance; this developed into L'Inhumaine (1924), one of the most ambitious films of L'Herbier's career, in which he collaborated with leading figures from other art forms, including Fernand Léger, Robert Mallet-Stevens and Darius Milhaud. A striking visual spectacle was built around a fanciful plot, and the result proved highly controversial among audiences and critics alike. L'Herbier had discovered the work of the playwright and novelist Luigi Pirandello during 1923 and was eager to introduce his ideas to the cinema. He chose the novel Il fu Mattia Pascal , and was delighted when Pirandello's mistrust of filmmakers was overcome and he agreed for the first time to the filming of one of his works,. The film Feu Mathias Pascal (1925) featured the expatriate Russian actor Ivan Mosjoukine in the leading role, and it became successful with critics and the public. In spite of his successes, Cinégraphic was steadily losing money, and for his next film L'Herbier chose a more popular and straightforward subject, Le Vertige (1926), filmed in the south of France, which was a commercial success. This was followed by Le Diable au cœur (1928), a maritime drama set in the fishing port of Honfleur, and featuring the English actress Betty Balfour; this was the first French feature to be shot on panchromatic film. After a transitional film, Nuits de princes [ fr ], shot as a silent picture but given a complete soundtrack of music, songs and sound-effects, L'Herbier undertook L'Enfant de l'amour (1929), which, like many other early ventures in sound film, was an adaptation of a stage play. This was the first fully talking picture to be made in a French studio. In addition to the technical problems presented by the heavy new sound cameras, L'Herbier was also required to make the film simultaneously in three different language versions (French, English and German) which meant that several actors had to be used in some of the roles. The film was sufficiently successful to attract other similar offers, but L'Herbier felt the loss of his independence of action, and after making two detective films based on books by Gaston Leroux, Le Mystère de la chambre jaune [ fr ] (1930) and Le Parfum de la dame en noir [ fr ] (1931), he withdrew from film-making for two years and returned to writing. In 1933, fearing that he was losing touch with the film business, he returned to make several more versions of stage plays, L'Épervier , Le Scandale and L'Aventurier , all of which enjoyed commercial popularity but gave little scope for the kind of cinematic invention that he sought. After trying to revive his own production company, this time under the name Cinéphonic, to produce some short documentaries, l'Herbier tried to develop more satisfactory material for himself in a series of dramatised histories which he called "chroniques filmées". The three which he completed before the outbreak of World War II were La Tragédie impériale (1938), about Tsar Nicholas II and Rasputin, Adrienne Lecouvreur (1938), filmed at the UFA studios in Berlin, and Entente cordiale (1939), which used the life of Edward VII to demonstrate the affinities between France and Britain; (its première in April 1939 took place in the wake of the German invasion of Czechoslovakia). The outbreak of war in 1939 did not immediately interrupt L'Herbier's film-making, and in the spring of 1940 he was at the Scalera studios in Rome shooting a long-cherished project, La Comédie du bonheur , but the imminent entry of Italy into the war alongside Germany forced him to return to France before the film was fully completed (though it was subsequently released). After the German occupation of France in 1940, L'Herbier worked with other filmmakers to salvage the French film industry and to protect the jobs of its technicians. He went on to direct four films before the Liberation, the most successful of which was La Nuit fantastique (1942). This "realistic fairy tale"  was very different from the prevailing style of French film production, and it allowed him to return to the style of visual experimentation which had characterised his silent films - to which he could now add innovative uses of the soundtrack. It did much to restore his critical reputation at least temporarily. In the post-war period, L'Herbier made one further return to the "chronique filmée" with L'Affaire du collier de la reine (1946), but otherwise his remaining films as director were fairly conventional literary adaptations, and his creative career in the cinema concluded with Les Derniers Jours de Pompei (1950) and Le Père de mademoiselle (1953). In the 35 years since his début in 1918, he completed 14 silent and 30 sound feature films. As his career as a director for the cinema faded in the post-war years, Marcel L'Herbier transferred his energies to the relatively new and undeveloped medium of television. He was interested in what made television distinctively different from cinema, and he wrote articles developing the idea that each medium had its own aesthetic. Whereas for L'Herbier the cinema was a creative art-form, television was a medium for recording, for reproducing, for disseminating to a wide audience; television would not kill the cinema - on the contrary it could be the means of deepening the public's understanding of cinema. Throughout his career, Marcel L'Herbier was a prolific author on the subject of the cinema. He wrote over 500 articles for magazines and newspapers,  some of which were collected in his book Intelligence du cinématographe (Paris: Correa, 1946). One of the themes that he regularly addressed was the concept of authorship in film-making and the need to establish the rights of film authors over their creative work. Another important topic was the distinctive national character of French cinema and the threat to it posed by the unrestricted import of foreign productions. In 1953 he helped to establish the Cinéma section of the newspaper Le Monde . Before his film career began, L'Herbier published a volume of poetry: ...au jardin des jeux secrets (Paris: Edward Sansot, 1914); and a play: L'Enfantement du mort: miracle en pourpre noir et or (Paris: Georges Clès, 1917). In his final year, he published an autobiography, La Tête qui tourne (Paris: Belfond, 1979); [the title translates as "the head that spins/shoots a film"]. Marcel L'Herbier died in Paris on 26 November 1979 at the age of 91. The acclaim which he earned in the 1920s contrasts markedly with the relative neglect of his later work. Even in the silent period, there were those who found his work mannered and marred by an aestheticism unlinked to the subjects of his films. In the 1930s and 1940s, his public roles and sometimes his political associations were interpreted to his disadvantage by some. However, in France his continued presence in so many aspects of the film industry until the 1960s ensured that he was not forgotten. More recently there have been re-issues and re-evaluations of both his silent and sound films and a growth in critical attention to his work. Jacques Feyder was a Belgian actor, screenwriter and film director who worked principally in France, but also in the USA, Britain and Germany. He was a leading director of silent films during the 1920s, and in the 1930s he became associated with the style of poetic realism in French cinema. He adopted French nationality in 1928. Georges Sadoul was a French journalist and cinema writer. Le Carnaval des vérités is a 1920 French silent film written and directed by Marcel L'Herbier. L'Argent ("money") is a French silent film directed in 1928 by Marcel L'Herbier. The film was adapted from the novel L'Argent by Émile Zola, and it portrays the world of banking and the stock market in Paris in the 1920s. L'Inhumaine is a 1924 French drama-science fiction film directed by Marcel L'Herbier; it has the subtitle histoire féerique. It was notable for its experimental techniques and for the collaboration of many leading practitioners in the decorative arts, architecture and music. The film gave rise to much controversy on its release. Jaque Catelain was a French actor who came to prominence in silent films of the 1920s, and who continued acting in films and on stage until the 1950s. He also wrote and directed two silent films himself, and he was a capable artist and musician. He had a close association with the director Marcel L'Herbier. Charles Spaak was a Belgian screenwriter who was noted particularly for his work in the French cinema during the 1930s. He was the son of the dramatist and poet Paul Spaak, the brother of the politician Paul-Henri Spaak, and the father of the actresses Catherine Spaak and Agnès Spaak. Pension Mimosas is a 1935 French film directed by Jacques Feyder. Based on an original scenario by Feyder and Charles Spaak, it is a psychological drama set largely in a small hotel on the Côte d'Azur, and it provided Françoise Rosay with one of the most substantial acting roles of her career. Ève Francis was an actress and film-maker. She was born in Belgium but spent most of her career in France. She became closely associated with the writer Paul Claudel, and she was married to the critic and film-maker Louis Delluc. The Last Days of Pompeii (1950) is a black and white French-Italian drama film, directed by Marcel L'Herbier "in collaboration with" Paolo Moffa, who was also the director of production. It was adapted from Edward Bulwer-Lytton's novel The Last Days of Pompeii. The film has also been known as Sins of Pompeii. Le Bonheur ("Happiness") is a 1934 French film directed by Marcel L'Herbier. It was adapted from Henri Bernstein's play Le Bonheur, which Bernstein had staged in Paris in March 1933 with Charles Boyer and Michel Simon in leading roles; Boyer and Simon took the same parts in the film. La Nuit fantastique is a 1942 French fantasy film directed by Marcel L'Herbier. It is regarded as one of the most successful films made in France during the German occupation. Feu Mathias Pascal is a 1925 French silent film written and directed by Marcel L'Herbier. It was the first film adaptation of Luigi Pirandello's novel Il fu Mattia Pascal. Entente cordiale is a 1939 French drama film directed by Marcel L'Herbier and starring Gaby Morlay, Victor Francen and Pierre Richard-Willm. The film depicts events between the Fashoda crisis in 1898 and the 1904 signing of the Entente Cordiale creating an alliance between Britain and France and ending their historic rivalry. It was based on the book King Edward VII and His Times by André Maurois. It was made with an eye to its propaganda value, following the Munich Agreement of September 1938 and in anticipation of the outbreak of a Second World War which would test the bonds between Britain and France in a conflict with Nazi Germany. La Vie de bohème is a French-Italian drama film directed by Marcel L'Herbier. It is based on Scènes de la vie de bohème by Henri Murger and includes music from Giacomo Puccini's opera as accompaniment. The set designs were created by Georges Wakhévitch. It was filmed during the winter of 1942-43 at the Victorine Studios in Nice. However it was not released until January 1945, after the liberation of France. La Route impériale is a 1935 French film directed by Marcel L'Herbier. It combines a romantic drama with a military adventure story, set against the contemporary background of British operations against a rebellion in the kingdom of Iraq. La Femme d'une nuit is a 1931 French drama film directed by Marcel L'Herbier. It was made simultaneously with Italian and German versions of the same story, which were however not only in different languages but in different genres. ↑ Some reference sources erroneously give L'Herbier's date of birth as 1890. The correct date is confirmed in his autobiography, La Tête qui tourne, p.16. ↑ Marcel L'Herbier, La Tête qui tourne. Paris, Belfond, 1979. p.16-17. ↑ Jaque Catelain, Jaque Catelain présente Marcel L'Herbier. Paris, Vautrain, 1950. p.8. ↑ Jaque Catelain, Jaque Catelain présente Marcel L'Herbier. Paris, Vautrain, 1950. p10. ↑ Roy Armes, French Cinema. London: Secker & Warburg, 1985. p.44. ↑ Marcel L'Herbier, La Tête qui tourne. Paris, Belfond, 1979. p.19-21. ↑ Marcel L'Herbier, La Tête qui tourne. Paris: Belford: 1979. p.123. ↑ According to the critic Noël Burch, Marcel L'Herbier and Jaque Catelain had a homosexual relationship. Noël Burch, "Ambivalences d'un réalisateur 'bisexuel': quatre films de Marcel L'Herbier", in Marcel L'Herbier: l'art du cinéma, sous la direction de Laurent Véray. Paris: Association Française de Recherche sur l'Histoire du Cinéma, 2007. pp.201-216. ↑ N.T. Binh, "Le Bonheur: la plus belle mise en abyme", in Marcel L'Herbier: l'art du cinéma, sous la direction de Laurent Véray. Paris: Association Française de Recherche sur l'Histoire du Cinéma, 2007. p.272. "...une miraculeuse conjonction de talents dont Marcel L'Herbier ne retrouvera pas souvent l'équivalent." ↑ N.T. Binh, "Le Bonheur: la plus belle mise en abyme", in Marcel L'Herbier: l'art du cinéma, sous la direction de Laurent Véray. Paris: Association Française de Recherche sur l'Histoire du Cinéma, 2007. p.265. ↑ Marcel L'Herbier, La Tête qui tourne. Paris: Belfond, 1979. p.251. ↑ Marcel L'Herbier, La Tête qui tourne. Paris: Belfond, 1979. p.284. ↑ E.g. "L'Ogresse télévision", Le Monde, 22 septembre 1950; "Passé d'un art futur", Le Monde, 10 février 1951. ↑ Michel Dauzats, "Marcel L'Herbier, un pionnier de la télévision", in Marcel L'Herbier: l'art du cinéma, sous la direction de Laurent Véray. Paris: Association Française de Recherche sur l'Histoire du Cinéma, 2007. p.327-332. ↑ Dominique Moustacchi, "Un cinéaste engagé au service du petit écran", in Marcel L'Herbier: l'art du cinéma, sous la direction de Laurent Véray. Paris: Association Française de Recherche sur l'Histoire du Cinéma, 2007. p.333-343. ↑ Mireille Beaulieu, "Le rôle central de Marcel L'Herbier dans la structuration des syndicats de l'industrie cinématographique", in Marcel L'Herbier: l'art du cinéma, sous la direction de Laurent Véray. Paris: Association Française de Recherche sur l'Histoire du Cinéma, 2007. p.285-294. ↑ Jean A. Gili, "De l'occupation à la libération: Marcel L'Herbier et la naissance de l'IDHEC", in Marcel L'Herbier: l'art du cinéma, sous la direction de Laurent Véray. Paris: Association Française de Recherche sur l'Histoire du Cinéma, 2007. p. 299. ↑ France 1941. La Révolution nationale constructive. Un bilan et un programme. Paris: Alsatia, 1941. pp.292-314. ↑ Jean A. Gili, "De l'occupation à la libération: Marcel L'Herbier et la naissance de l'IDHEC", in Marcel L'Herbier: l'art du cinéma, sous la direction de Laurent Véray. Paris: Association Française de Recherche sur l'Histoire du Cinéma, 2007. pp. 309-310. ↑ Jean A. Gili, "De l'occupation à la libération: Marcel L'Herbier et la naissance de l'IDHEC", in Marcel L'Herbier: l'art du cinéma, sous la direction de Laurent Véray. Paris: Association Française de Recherche sur l'Histoire du Cinéma, 2007. p.305-309. ↑ "Bibliographie des écrits et entretiens de Marcel L'Herbier", in Marcel L'Herbier: l'art du cinéma, sous la direction de Laurent Véray. Paris: Association Française de Recherche sur l'Histoire du Cinéma, 2007. p.367-382. 1 2 Laurent Véray, "Introduction", in Marcel L'Herbier: l'art du cinéma, sous la direction de Laurent Véray. Paris: Association Française de Recherche sur l'Histoire du Cinéma, 2007. p. 9. ↑ For example, Roy Armes, French Cinema. London: Secker & Warburg, 1985. pp.45,60; Liz-Anne Bawden [ed. ], Oxford Companion to Film. Oxford: OUP, 1976. p.419; Michael Temple and Michael Witt [eds. ], The French Cinema Book. London: BFI, 2004. p. 15. Burch, Noël. Marcel L'Herbier. Paris: Seghers, 1973. (Cinéma d'aujourd'hui: 78). [In French]. Catelain, Jaque. Jaque Catelain présente Marcel L'Herbier. Paris: Vautrin, 1950. [In French]. Moving Image Source "Obscure objects": article by Jonathan Rosenbaum.